I once heard it said that the first year of marriage is always the most difficult. I always thought it meant my husband and I would argue with each other over where to squeeze the tube of toothpaste (from the end, duh), or which direction the toilet paper roll should go (over the top – always). While my husband and I have certainly had some squabbles over him eating the last of my favorite cereal (do NOT touch my Cinnamon Toast Crunch! ), I never dreamed the biggest fight would be in would be the fight for my life. I was diagnosed with Crohn’s disease a couple of years before my husband and I were married. At the time, it was well-managed and caused me very few problems. I thought that as long as I took my medicine, it would be fine. I quickly learned otherwise – I was hospitalized 13 times in our first 9 months of marriage, and in 35+ times in the last seven. Needless to say, our seven years of marriage together have been anything but normal! However, looking back, we wouldn’t change it for anything. There have been some hard, hard times, but they’ve made us stronger: both individually and as a couple. 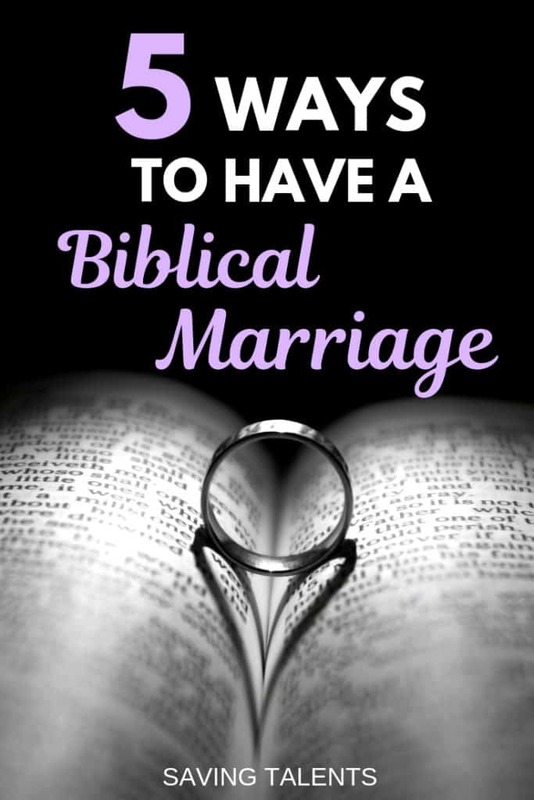 When we were married, we made covenants with each other and with God. 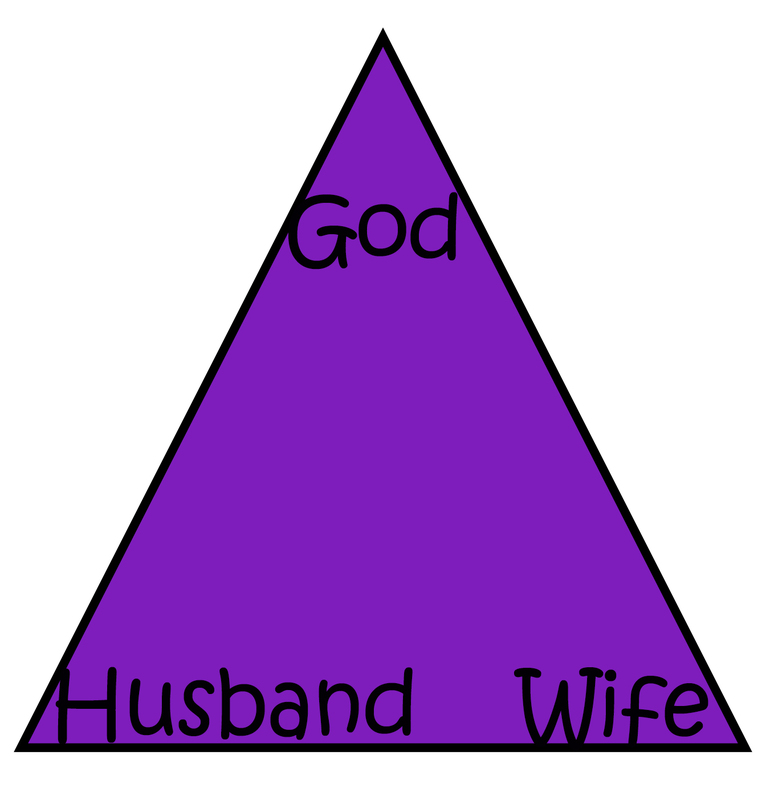 The three of us form a triangle, with Lord at the top. As we get closer to Him, we also get closer to one another. When we keep our covenants, it makes our covenants with each other stronger. With everything we go through, it gets easy to get caught up in doctors, work, school, caring for children – life gets busy. However, when we take the time to truly have God in our lives and have Him first, then the rest fits in. My job, explained my father, was not to “train” my husband in the areas that I thought he needed. That’s God’s job, because He knows everything and knows my husband better than I do. Instead, my job is to make our home a haven, a refuge. My husband was going out into the world and would be slapped in the face at times with his inadequacies. Our home needed to be a safe place for him to return and work out those lessons. Instead of giving my husband more reasons to see his failures, I needed to allow him to grow and develop in a loving, nurturing environment. The same goes for him to me: he helps me grow and develop with love and care. Our home is a haven to learn and grow under God’s direction and guidance. As you communicate with your spouse, remember who they are. He (or she) is a child of God. You have been entrusted with the love and care of one of Heavenly Father’s precious, beloved children. How would you want your child’s spouse to treat them? You are the most important, most influential person in your spouse’s life. That is a precious gift that should not be taken lightly simply because it is commonplace. You decide to surprise your husband with his favorite dinner, which usually takes a lot of work to make. He comes home late without telling you and in a bad mood. Dinner is already cold; he eats it without a thank you, then heads off to the living room and watches TV. God will always answer that prayer. 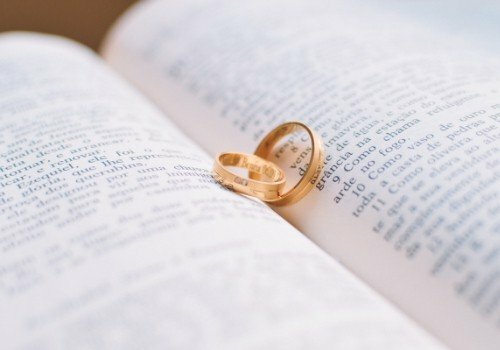 Both you and your spouse are imperfect people, trying to have a Christlike relationship. Thankfully, your third partner is perfect and he can make up for you and your spouse’s imperfections (or even just the effects of a bad day from an imperfect world). Because the Lord hath been witness between thee and the wife of thy youth….is she thy companion, and the wife of thy covenant. Everything that we have learned in our seven years of marriage with so many health issues can be summed up with this: keep an eternal perspective. It means that no matter what comes up, we keep our eternal goal in mind. Whether it’s a week in the hospital with doctors informing my husband that it’s time to say our goodbyes (which has happened multiple times), or him coming home late from work after putting the toilet paper roll on wrong that morning – we try to always remember that we’ve made covenants. With God and with each other. Those covenants are how we do it. They’re how we make our marriage work….successfully. Thank you for this! I almost didn’t read it, but I am so glad I did! I think the thing that struck me most was the reminder that when my husband is struggling (whether he is being overly cranky, or doubting, or hurtful) I can turn to God, the third partner in our marriage, to seek counsel and help. I don’t have to take everything head on, myself, and risk creating a bigger contention, or hurting him further. After reading this a week ago, this is the main thing that has stuck with me. Thank you so much. The first time I heard this, it struck me the same way! I am not perfect at it by any means, but when I do take the time and effort to approach issues (that are really non-issues, like grumpiness due to lack of sleep or something), it makes a huge difference overall. Hey Tiffany: I enjoyed your article and insights about God as the third partner, and you are right that we need to turn to Him more often than we do. Although not a cure all or guaranteed remedy for Chrohns, I have many friends who have ‘cured’ their Chrohns issues with a natural clay product called ‘Redmond Clay’. Let me know if you would like more information on how to use it. Good luck and keep writing and sharing. I have looked into it in the past and not found it effective for me. It’s crazy how different everyone’s bodies are. But I thank you for the suggestion!